With Dominion's award-winning services at your side, your virtual showroom will be bustling with traffic. Our experts put together a solid content strategy paired with a refined a SEO plan that will continuously drive shoppers to your automotive website! Your dealership website is your virtual showroom and is the first experience the customer will have with your brand. Our award-winning responsive design will help you make each customer experience a pleasant one. Your online brand remains consistent in message and appearance through all screen sizes with our car dealer websites. 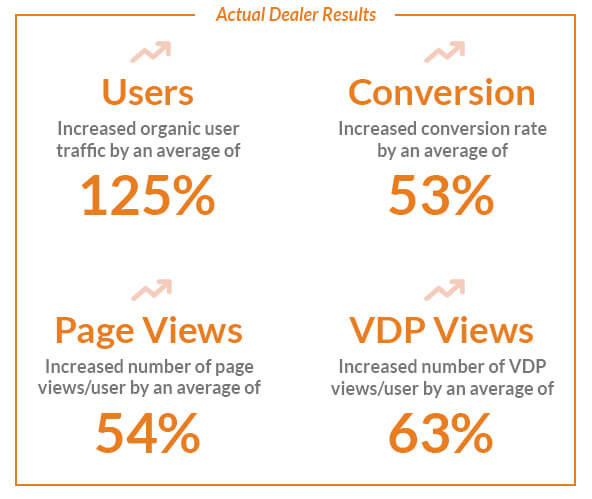 Dominion Digital’s customized automotive SEO strategies position your car dealer website to be found by more consumers, get more VDP views and generate more leads. One size does not fit all. We will work with you, listen to your needs and optimize your search strategy to meet your goals. Read why Tyrone Square Mazda was chosen as a Dominion dealer of the month and how the Dominion Digital team has helped them succeed. Read how your website’s security could be affecting your bottom line and what you can do to prevent further impact. 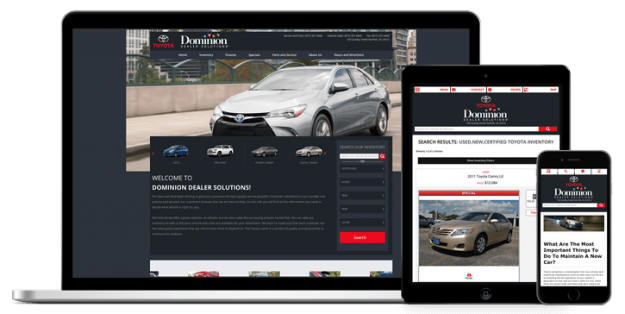 Read why Morgantown Mitsubishi's website was chosen as a monthly spotlight and how the Dominion Digital team has helped them succeed.